I do what I can for the environment and for the world that we live in, but sometimes it's hard to follow through. It's very inspiring to me when large companies and organizations focus on doing good for the community. 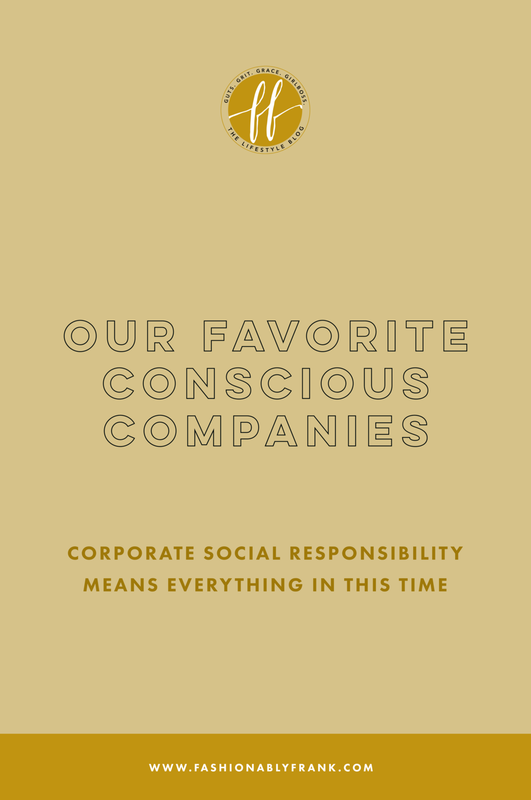 Conscious companies are everything and give us an easily accessible opportunity to give back. These companies can be very influential and can inspire others with their message. I like to support companies with good values that also make good product! In 2007, Lush released Charity Pot. 100% of the proceeds of this body lotion goes to small grassroots organizations working in the areas of environmental conservation, animal welfare and human rights. Since its launch, Charity Pot has raised more than 18,000,000 for more than 1400 charities. Nike has been committed to promoting an active lifestyle and creating accessible programs for families to keep children active with outside play. Not only do I love getting lost in Target, but I also love how they connect with the community around each store that they open. They provide grants to local schools, donate millions of pounds of food to Feeding America every year and lead volunteer programs in local communities. The legendary Victoria's Secret fashion show packed with celebrities isn't just for selling their intimates, the event has raised upwards of $2.5 *MILLION* in ticket sales in support of various charities, including the American Cancer Society. Companies who invest in corporate responsibility are totally worth your time and money! Sometimes your shopping day can do more good than you think it can. Where's your favorite place to shop and why?